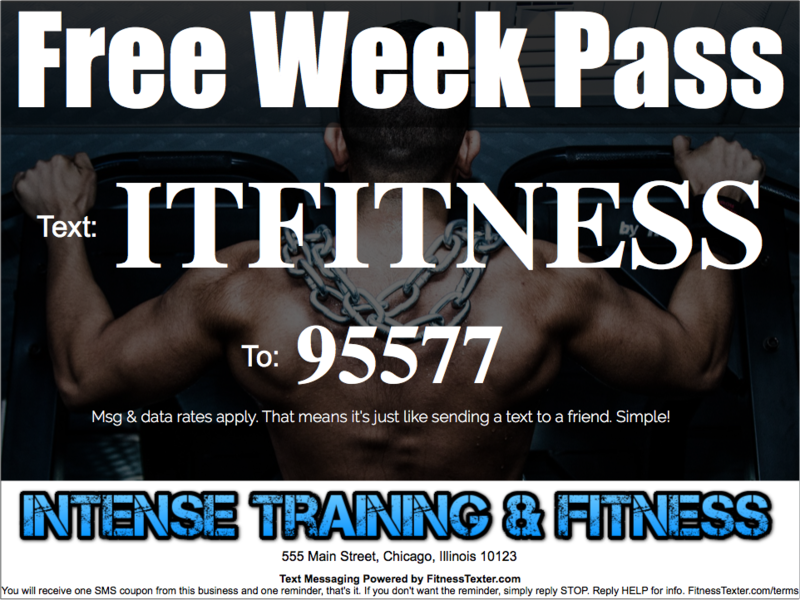 Lately I’ve been fielding a lot of questions about the free marketing materials that we provide your business when you start using FitnessTexter. 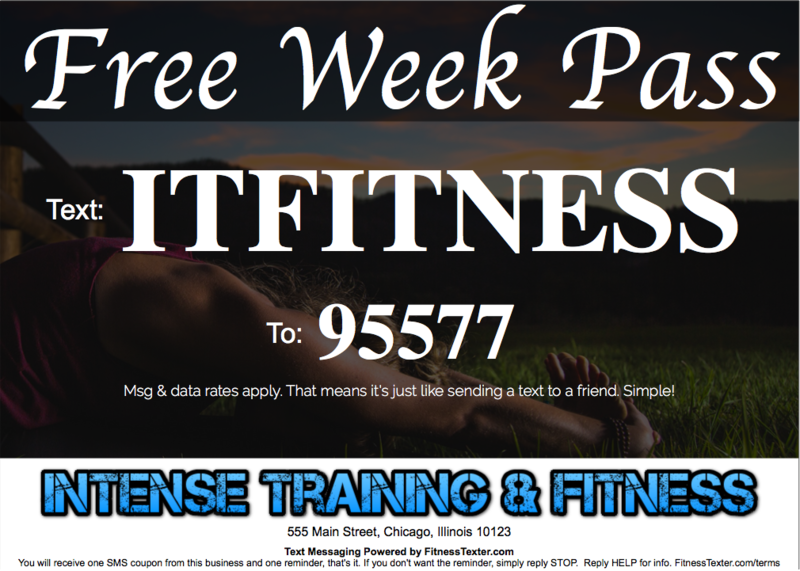 That’s right, when you start a 10-day free trial of FitnessTexter for your gym, we’ll photoshop the below marketing materials for your gym. We’ll pull your logo from your website and use the address that’s on your website as well. In the examples below, we’re using a fake business called Intense Training & Fitness. 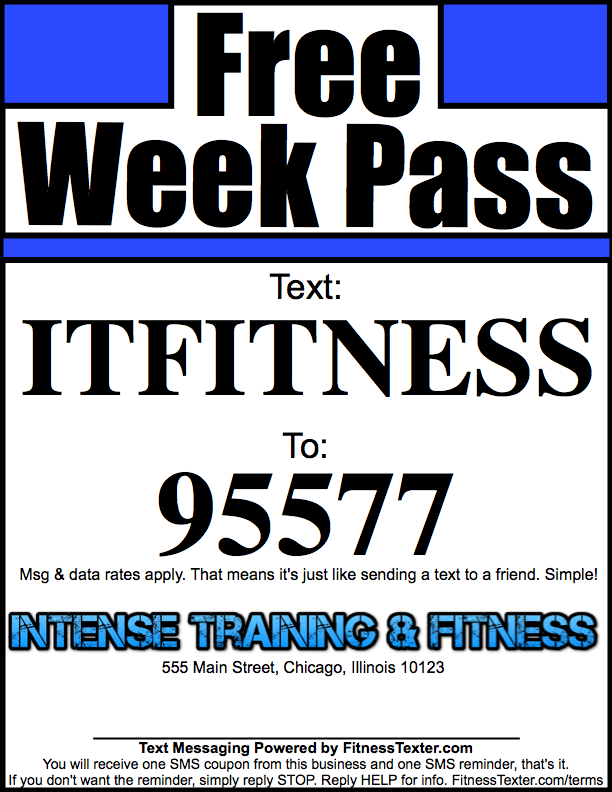 For our example, they’ve decided to use ITFITNESS as their FitnessTexter texting code, and they’re offering a Free Week Pass to anyone that signs up. These will give you a head start in promoting your FitnessTexter keyword in your various marketing channels. If you’d rather design your own, be our guest. These are mostly for small fitnesses businesses that don’t have a graphic designer on the payroll. 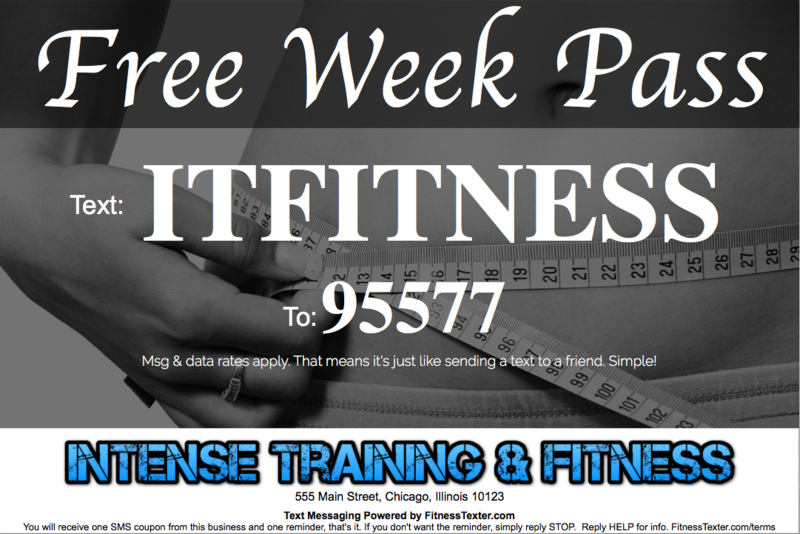 These three marketing materials are by far the most used by FitnessTexter clients. They’re perfectly-sized to post on Facebook and Instagram, drop into a blog post, or add to your homepage pop-up (like Larry North Fitness did). The standard printable PDF flyer is great for bringing to Kinkos, printing out 25 and putting up around town. If you’re located in a residential area, put some up on the light poles in town (make sure it’s legal first). Otherwise, put them up at local businesses. Walk in the door, introduce yourself to the business owner and see if they’d be willing to let you up a flyer up in their door. Most small business owners are more than happy to help out other small business owners. If you’ve got a graphic designer in house, or a friend that does it, feel free to let them design your own marketing materials. They’ll be able to incorporate any specific branding guidelines that your business follows. Use ours as a simple template for designing your own.